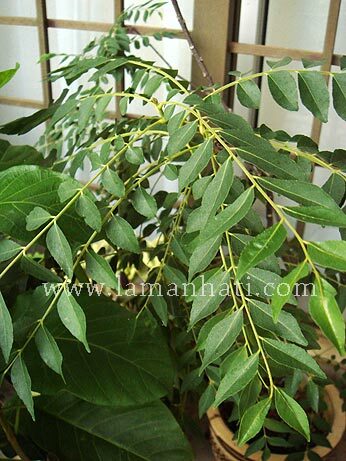 I have this curry leaves plant for almost 4 years now. By right, it should have grown taller and bigger than this but I don’t know, maybe because I planted it in pot rather than on the ground. But I am grateful that it is still alive after all these years. I hardly use the leaves except occasionally when I need to fry squid or make some Indian fritters from dhall. But I think it would be a lost if it dies because curry leaves is a common herbs in Malaysian cooking. Since I simply use a few leaves each time to cook, it would be a hassle to buy a whole lot from the sundry shop everytime I feel like cooking something that has to use it as part of the ingredients. So my curry plant, grow well and never die, OK! haha!